Following great demand from across the community, Rare Disease Day has launched an online shop full of official products to take your day to the next level. With the 28th of February just around the corner, order your Rare Disease Day products now to get them in time for the big day! The shop has a great range of merchandise including bags, t-shirts and much more to wear at your events! Perfect for spreading awareness and increasing global support. 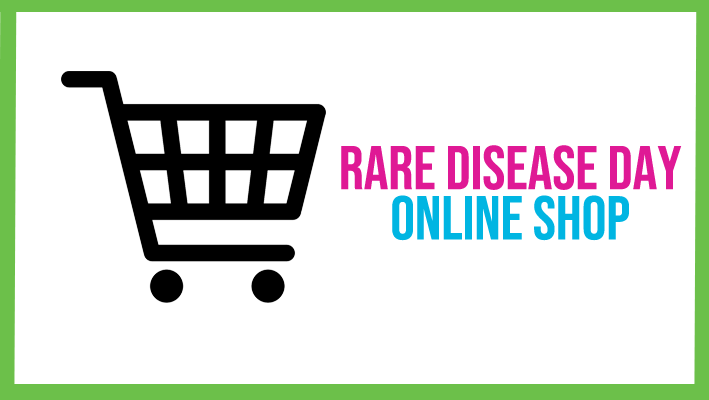 The Rare Disease Day Shop has a dedicated bulk-buying platform that allows for items to be ordered in large quantities with a reduced fee for postage and packaging. If you are looking for more ways to get involved in Rare Disease Day and support the community, then check out all the different ways you can get involved.